A compendium of Shas Concepts? Is there a sefer, a website, or an app with all the concepts in Shas? Halachic Concepts such as - "Women are exempt from time-bound commandments". The multi-volume אנציקלופדיה תלמודית has many such, but is as yet incomplete. It's in Hebrew. I think I've heard that some volumes have been translated (or perhaps issued separately) in English. Aspaklaria is very good and it's free. Please take a look at HaMafteach, I think it fits the description you mentioned. It is in English. HaMafteach locates for you every topic, saying, anecdote, maxim, parable, significant subject matter, law, Biblical exegesis, and Biblical and Talmudic personality mentioned in the Talmud. 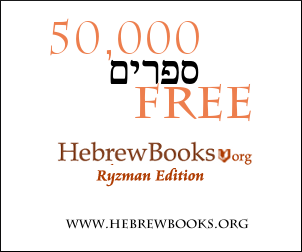 The English edition includes a transliteration of Hebrew and Aramaic words and phrases, and a new integrated glossary. Hamafteach is an invaluable sefer for Rebbeim, teachers, authors of seforim, researchers and scholars, as well as for anyone who wishes to swim in the yam shel Talmud. clearly and concisely explains the Talmud’s fundamental structure, concepts, terminology, assumptions, and inner logic; provides essential historical and biographical information; and includes appendixes, a key to abbreviations, and a comprehensive index. Practically it describes talmudic methodology, terminology, hermeneutical principles and halakhic concepts (there are more than 100 pages of these in my edition). It covers "Women are exempt from time-bound commandments" both under "mitzvot" and "women" and they are cross-references in the index. Not the answer you're looking for? Browse other questions tagged product-recommendation talmud-gemara . Is there a resource that shows all uses of a Tanach verse in the Talmud?